My place is located near the city with a bus stop directly outside and a train station (Green Square) also in the area. 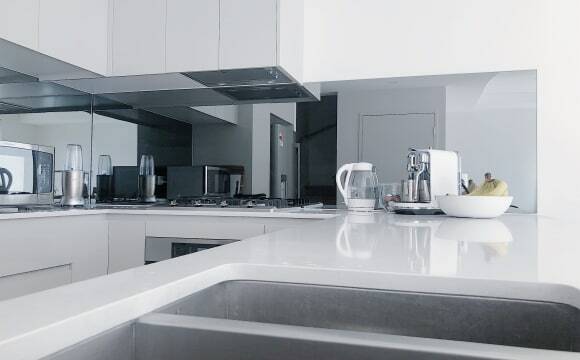 The building is very modern and so is the apartment itself. Your room is on the other side of the apartment and will have your own bathroom, and the apartment is spacious. Netflix, Stan, pool, gym, sauna, air conditioning. 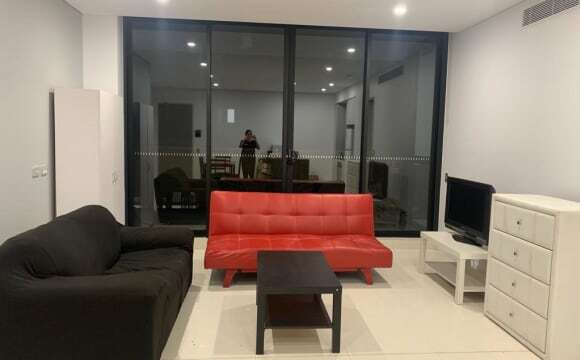 The apartment is in a Meriton apartment block and has an indoor pool &amp; sauna, a gym and is a secure block with a key pass to get through the gates and up the lift. Funky industrial style split level and I’m easy going. My 2 cats are adorable too! One is 19 and the other 18. CURRENTLY 2 DOUBLE ROOMS AVAILABLE. Rooms are freshly painted and newly carpeted. All bills (electricity, gas, water, internet) are included in the rent. 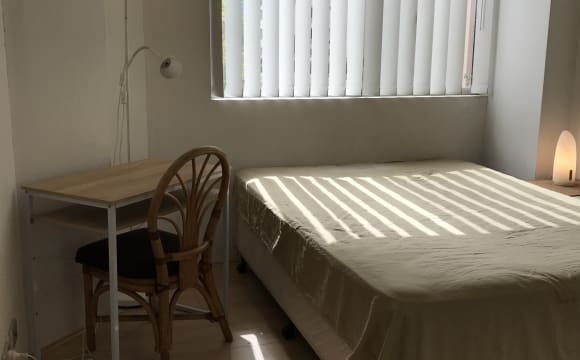 * $250 for a double room per week (includes all bills) * Fast WiFi in each room (100/40), with dedicated Ethernet ports. * TV connection in each room * Share 2 bathrooms and laundry * Rear courtyard with a clothesline * Buses at door - 309, 310, 348, M20, L09, X03, X09, X10, 343 close by. 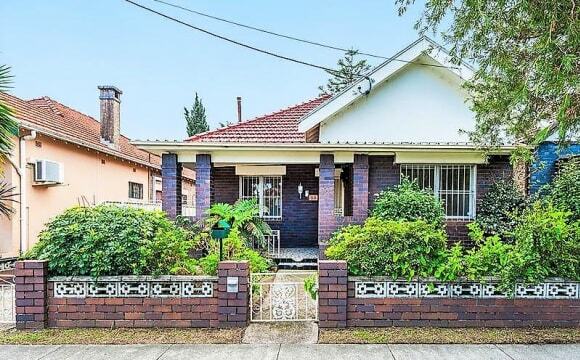 * Green Square and Redfern trains are walking distance * Convenient for airport, city and universities and colleges (UNSW, USyd, UTS, Taylors, IFSS) * Rosebery IGA – 2mins walk, Coles East Village - ~25 mins walk. Shops and restaurants next door. * Free parking in front of Dulux Trade Centre, first come first served. * 3 months minimum lease, 4 weeks deposit bond A note on couples: I am able to accommodate couples, however not with a single room. If you are a Couple interested in this listing you will both be required to rent and pay for a room separately. 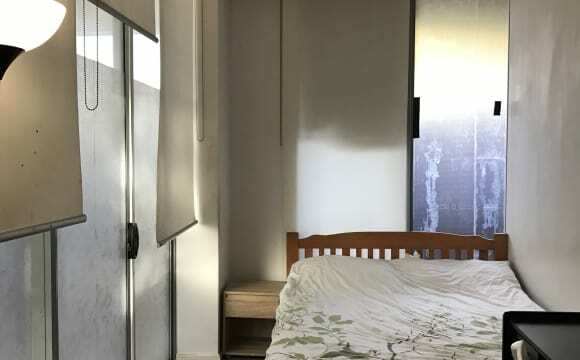 What you do with the two rooms is up to you (eg: 1 for sleeping 1 for "stuff"), but the two of you will be treated as separate entities as far as rent payment will be concerned. 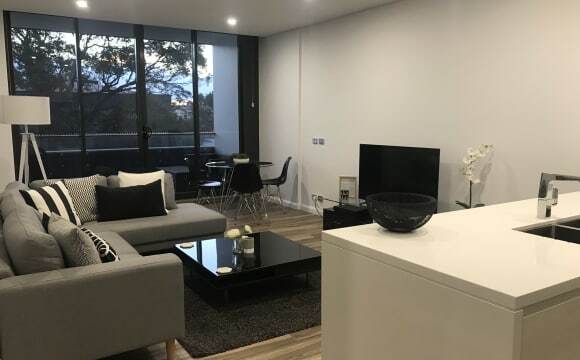 , stereos in lounge and kitchen, shared Spotify + Netflix, a 40" LED Television + AppleTV, dishwasher, coffee machine, glass stovetop, huge fridge, and spare bikes. Those bikes (+ locks) will get you to the shops or Mascot or Green Square train stations in no time; and we have great buses + bike paths too, so UTS, USYD and AIM are just a short trip away, and we're just 13mins from UNSW. We're also close to Green Square library, Rosebery’s award winning Black Star; Messina; Sonoma Bakery, Kingsford’s fantastic restaurant strip + many local Rosebery + Zetland eateries, We have a large vege garden and eat plenty of fresh, homegrown + homemade food. Homemade muesli, Pesto with homegrown basil. Spanakopita with homegrown/made silverbeet + ricotta. Roasts, stir fries, pizza, and slow cooked Tex-Mex. Salads, fry ups, Spanish omelettes, etc. You can share in groceries and meals if you like too, and avoid shopping and cooking all week, or living on instant noodles. Our mandarin trees aren’t fruiting yet but give lush front porch privacy. The orange tree gives shade + bitter oranges. Our limes are few but sweet and we’ll soon plant a new passionfruit. Current homegrown includes pumpkin, shallots, leeks, basil, rosemary + Kumera (sweet potato), rocket (arugala) and cherry tomatoes. We hope to speak to you soon. PS If you're part of a couple, apologies but the price quoted for rent is for a single person, and the cost for a couple would be higher. Also, this is a non-smoking property so we are seeking a non-smoker. 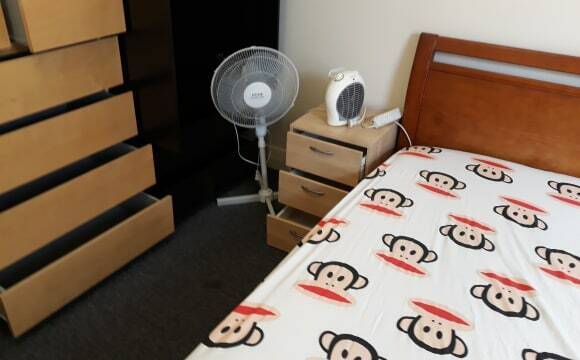 room with a double bed, with wardrobe, desks etc. you will have your own key to the room. I have another room with queen bed, fully furnitured too with own key to access, rent for 265/W. There's swimming pool and gym just 5 meter outside of the apartment, very easy to access for sports lover. There's also BBQ outside of the building available to use. The house is 5-10min walk to the bus stops ; or 15-20min walk to Mascot station which only takes 10 minutes to reach Central. Restaurants, pubs, and groceries are in short walking distance and it’s a pretty friendly neighbourhood. Streets are well lit at night and very safe to walk through. The house is spacious, with a generous gated backyard to host occasional barbeque with friends. Except for the tiled kitchen, dining area and bathroom, the rest of the house has wooden flooring which makes it easy to maintain. *ALL Bills are included in the rent. Furnished room. Fantastic location minutes from station and bus at doorstep. 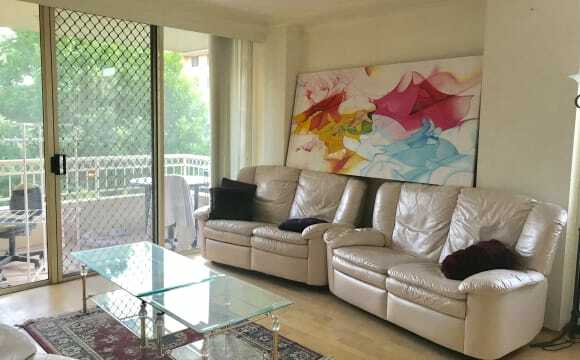 Great apartment in a prestigious secure complex. All modern ammenities, dishwasher, fridge, microwave, washing machine and dryer, fully ducted air conditioning. 70" Sony Smart TV. Netflix. All bills included. Views to the city. The room is light filled with a huge mirrored wardrobe. Close by to the Cannery and it's many cafes. 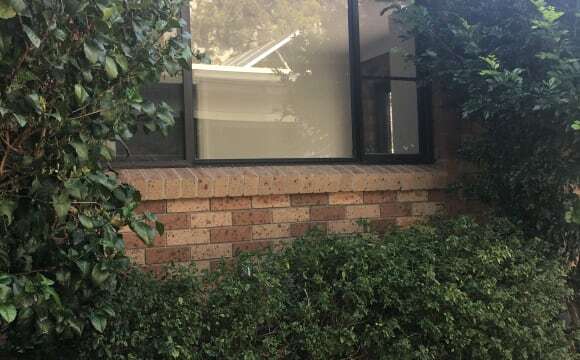 I have 1 room to rent in my home in Rosebery. It’s a quiet area with plenty of street parking, so If you have a car, you can typically find parking right in front. If not, we have local shops nearby and public transportation as well. Green square station is a 10 minute walk and only 1 stop to the city. There is also a bus stop accross the road which busses run frequently to the city and surrounding areas. Unlimited NBN internet is provided. Your room is a good size (can fit a queen bed comfortably) with a double built in wardrobe and large mirrors. 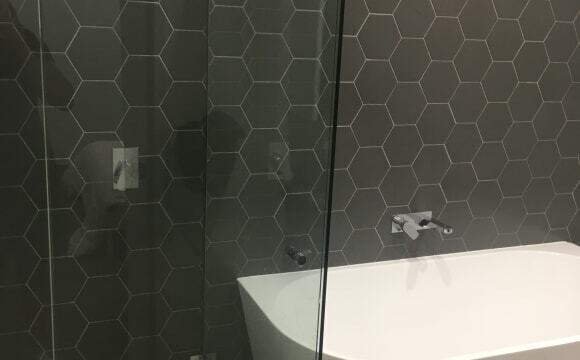 You will also have your own master bathroom. Kimberly Estate is a quiet and secured residential complex with access to swimming pool and brand new gym. 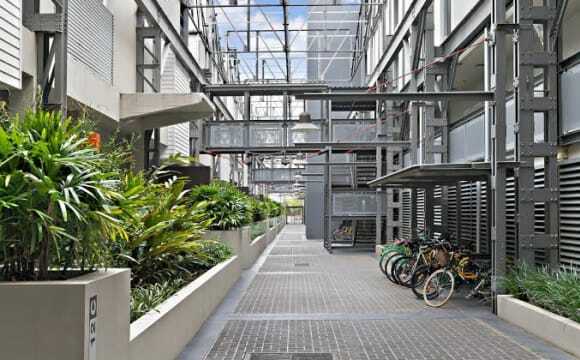 It is two minute walk to bus stations which connects to the city, unsw, usyd, etc within 15-20min. The apartment is very spacious and welcomes grand piano lovers, and has its own gym equipment too. There is also a living room and dining room. The rooms have all the furniture you need for immediate move in and if you wish to use your own, we can accommodate that too. There are two parking spots in the carpark, that will be $50 per week, there are free on-street and off-street parking for visitors. 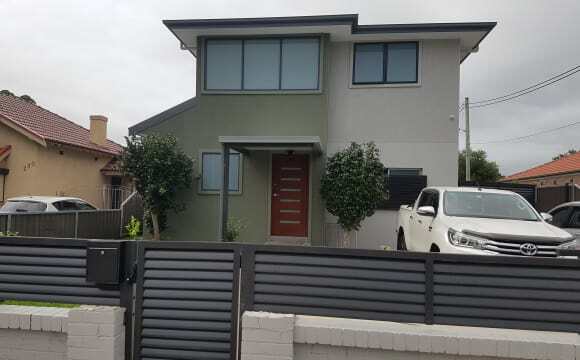 Brand new 2 bedroom self contained units in Mentmore Ave, Rosebery NSW 2018. 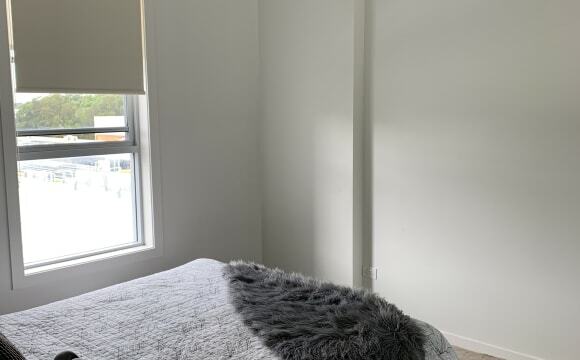 Opposite the popular “Cannery” shops and cafe (featuring brand new kitchen, brand new bathroom, brand new furnitures, brand new fittings/whitewares and brand new wardrobes) at $320 each room including bills (power and internet). New Aircon/Heater installed, TV, Fridge, Microwave, Washing Machine, (Beds preferential). 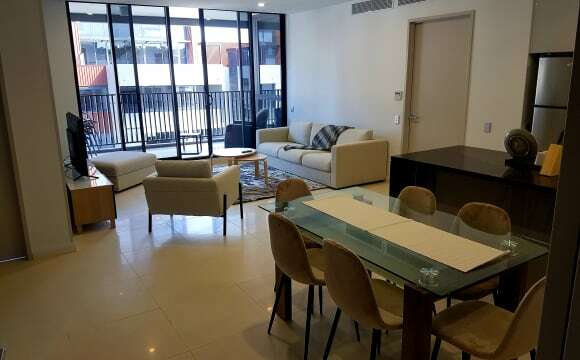 It is brand new, sunny, self contained spacious unit with 100 metres walking distance to Green Square Train station and close to Bus station 343, M20, 370, 301, 348 and other major Eastern CBD routes. Each bedroom is suitable for one person only. 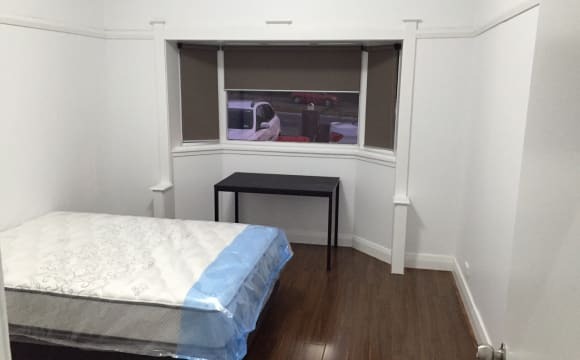 If you are renting 1 bedroom only the cost is $320. Total cost for 2 bedrooms is 2x320 = $640. If you know someone else who like to rent the other bedroom then will be perfect otherwise will look for tenant to fill the space.